It’s been a busy last few days. We start back to school on Monday so I’ve been planning my classes, writing syllabi and all that fun stuff! As a result, I have not had much time to knit or blog. My Girasole is coming along. It is turning into a very large purple blob. I knit a couple of hexipuffs yesterday while I was at tumbling and karate with Davey. That’s about it! 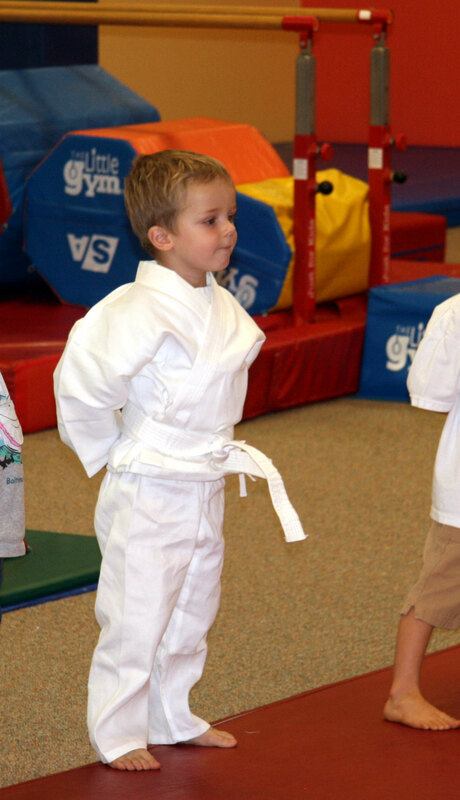 Speaking of karate, it was great fun to watch Davey experience it for the first time. David took this through the glass so the picture is not great, but I love Davey’s stance here. 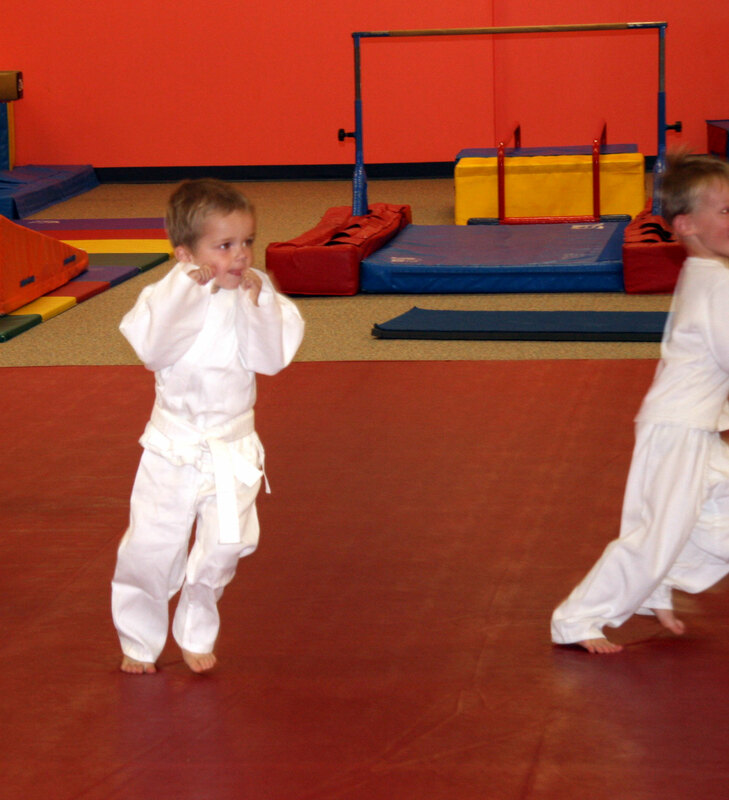 This being little gym karate, there was lots of running and activities to go along with the karate. Here they took off practicing with their hands up (David says it is the guard position). 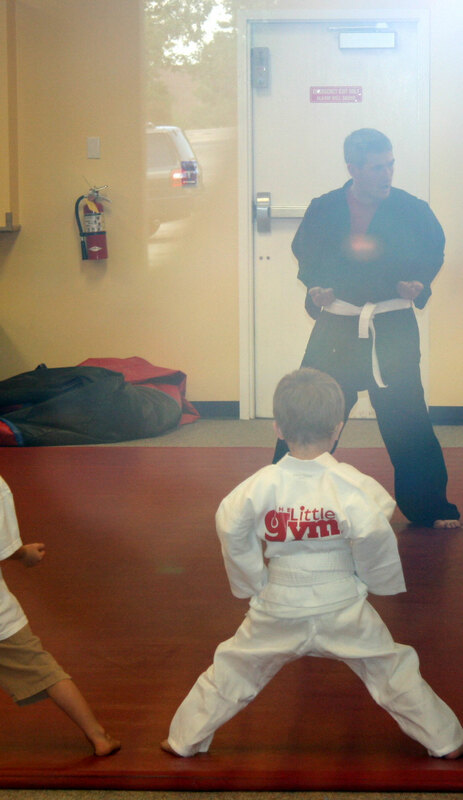 And because there was running and other tumbling activities combined, Davey quickly got hot and got rid of the top part of the gei and his belt. 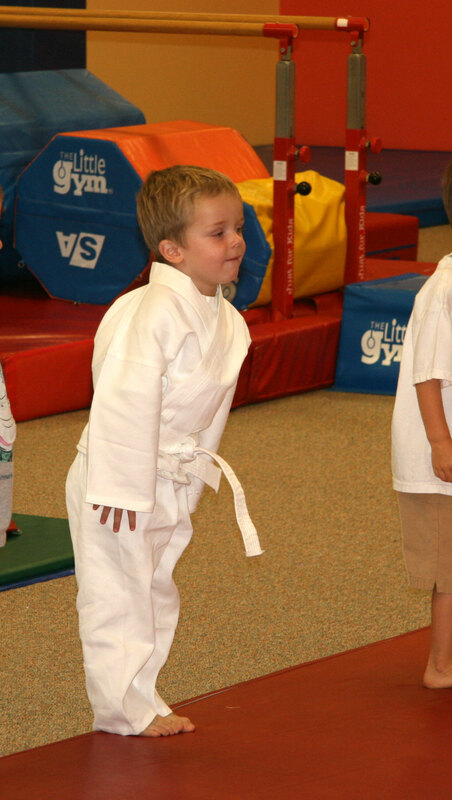 He was tired when it was over because he’d also had a tumbling class earlier that day (we’ve changed that and will go on two different days now). He had a great time though and can’t wait to go back. I bought a new dress today. I don’t know if Davey had ever seen me in a dress. I tried it on when I got home. Davey liked it. He told me that I looked like Lady Gaga. I guess that’s the only dressed up person he’s seen in awhile. I hate to admit that he even knows who she is, but he enjoys her music. Funny kid. The Hobby Lobby “I Love This Cotton” is much softer than the Lily’s Sugar ‘n Cream. It’s a little more expensive, but in my opinion, worth it.